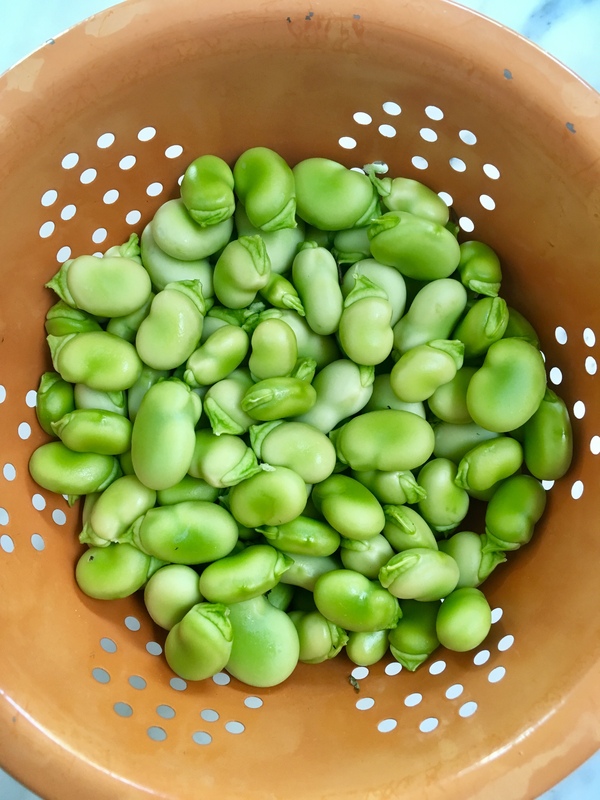 We planted fava beans in the beginning of the year and with our all of the rain we got they’ve taken off and grown over my head! They are super beautiful plants and these favas are so incredibly green, I just keep marveling at them. They are also available in lots of grocery stores and farmers markets now if you don’t happen to have a forrest of them in your front yard. This is a light pasta dish that we created to focus on the spring flavors. 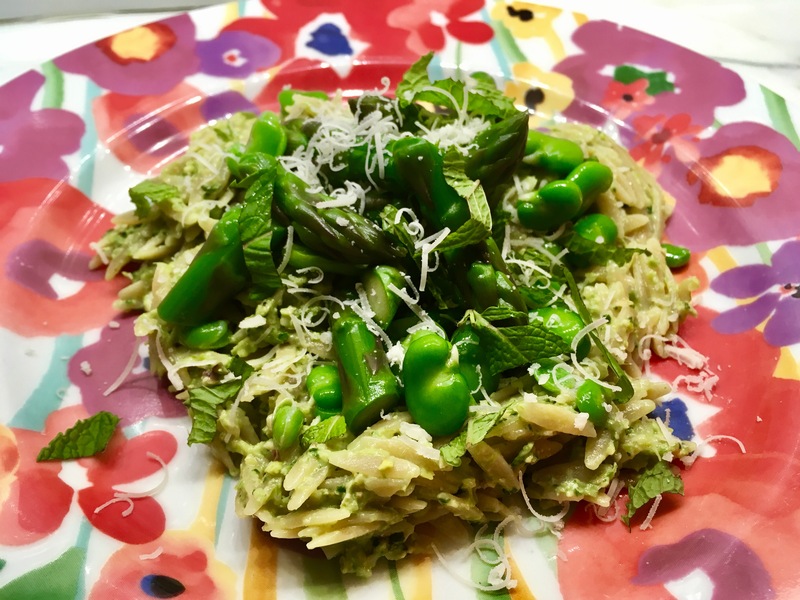 serve and garnish with asparagus tips, fava beans, mint and more cheese!